The correct way of feeding boas depends on its age and size. For small ones, one mouse a week is enough. When they attain lengths of at least 3 ft, you can start giving the boas a couple of mice per week. 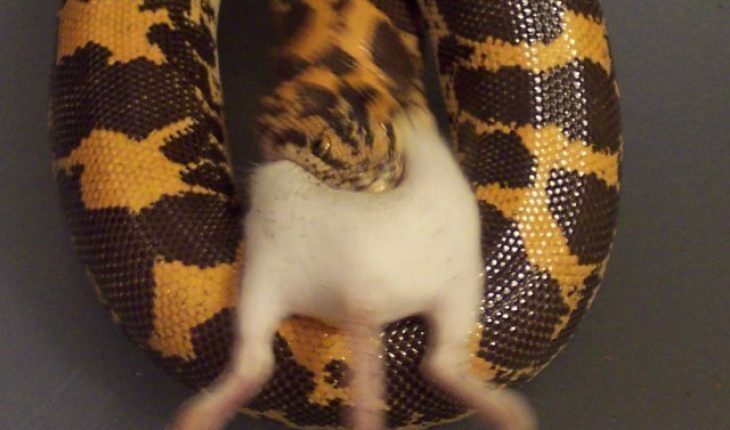 When these snakes reach adulthood, serve food every two weeks. 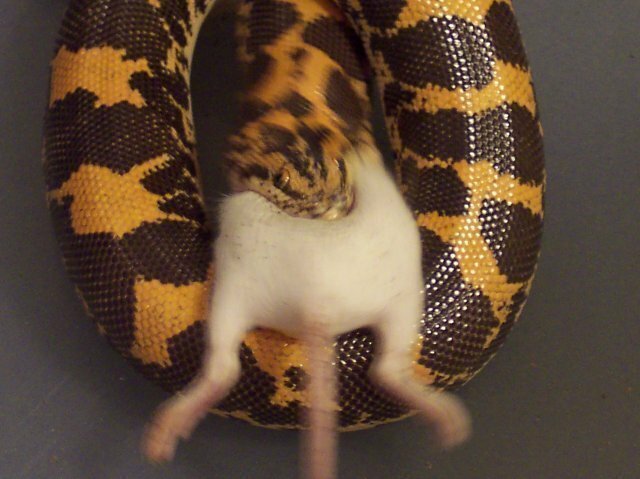 Most of the time, these snakes are fed with mice. You can also give them rabbits or chicken. They can also eat fish and other small animals. Keep in mind that the creatures swallow their prey. It’s important that the food can fit into their bodies. They are regarded as adults when they reach over 6 feet. You can feed them larger pieces. If you’re going to feed it frozen mice, let it thaw first. Don’t cook it because boas like to eat it raw. Next you should put it in a dark container. After putting the food there, leave it alone. These creatures like to eat alone. You can put the food in with the boa. However some prefer to put the food in first. Afterwards the constrictor is set in. This is actually a safety measure. If the boa is very hungry it might bite rather than swallow the food. This only happens if the creature isn’t fed properly. After you are done feeding boas, give it time to rest. Fully grown ones take about 20 minutes to eat. Those growing up need only 10 minutes. Regardless of age, it needs about 24 hours or more to digest the food. Don’t pet it; it will regurgitate the food. As stated, adult boas only need to eat about every couple of weeks. But some don’t eat for several weeks more. This is not unusual. As long as the weight doesn’t drop 15% from normal, you have nothing to worry about. Even if your pet doesn’t eat anything for a month or two, it’s okay. Only take your pet to the vet if the weight loss exceeds 15%. Feeding boas is a little different if you want to breed them. For grown females, it will be about every 10 days. Males should be fed every two weeks. Depending on the type, you can increase the feeding time. Females can eat every 5 days for three weeks. This is to help them gain weight. It’s necessary for the gestation period. The fats will also help them during birth. Don’t be surprised if males are smaller. That is usually the case and thus don’t need to be fed as much or often. While food intake can affect the size, so will genes. Some variants just grow bigger than others. The environment also plays a role in determining their length. Don’t feed the boa until it gets fat. You should only increase it for breeding purposes. If it gets fat, lessen the feedings. A fat boa will be susceptible to many ailments. There are many things to consider when feeding boas. As a responsible pet owner, you should assess all these options. It will ensure the proper care and nourishment of the creature.